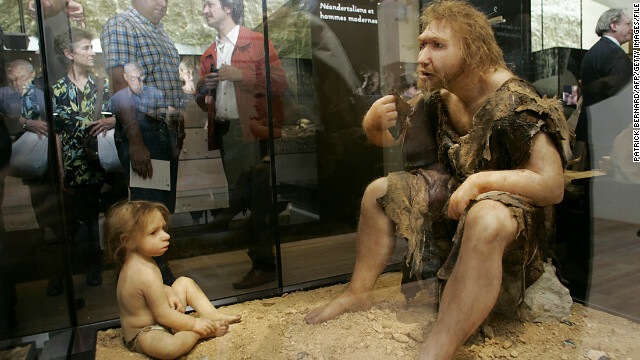 A display of a reconstruction of a Neanderthal man and boy at the Museum for Prehistory in Eyzies-de-Tayac, France. Editor's note: Arthur Caplan is the Drs. William F and Virginia Connolly Mitty professor and director of the Division of Bioethics at New York University Langone Medical Center. (CNN) - So now we know - there won't be a Neanderthal moving into your neighborhood. Despite a lot of frenzied attention to the intentionally provocative suggestion by a renowned Harvard scientist that new genetic technology makes it possible to splice together a complete set of Neanderthal genes, find an adventurous surrogate mother and use cloning to gin up a Neanderthal baby - it ain't gonna happen anytime soon. Nor should it. But there are plenty of other things in the works involving genetic engineering that do merit serious ethical discussion at the national and international levels. We need to start cloning Neanderthals, its DANG COLD OUT THERE! Their native environment is a trailer park somewhere south of the Mason-Dixon line and their native food and drink are a Big Mac and a Bud! Cloning these would be a sad tail without their native environment; Do you agree?